West London’s one and only Vegan Night Market! 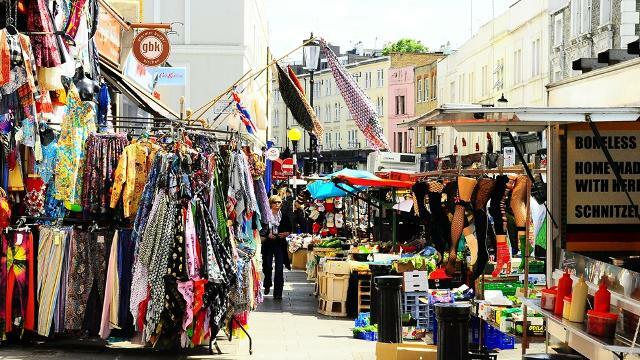 Join us every 2nd & 4th Wednesday of the month down on the famous and iconic Portobello Road, from 6pm-10pm. We will have 20 + traders that will be showcasing the finest vegan street food London has to offer! We also have an Artisan corner where you can get fresh produce, juices, cakes, treats, cheeses, ice creams, clothing, beauty/home products and many other artisan vegan delights! Our resident vegan DJ will be dishing out the best of reggae, ska, roots, soul and funk, so make sure you bring your dancing shoes! Our event is free and open to everyone, aka not just vegans 😉 and it’s family-friendly! We really have been creating such special vibes after our launch this summer; and when you mix the beautiful vegan vibes with Portobello, it’s a match made in heaven! We look forward to welcoming you down and hope to share some special nights with you all!